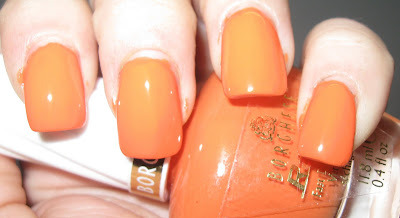 Borghese polishes retail for upwards of $8 at various drug stores, but for $1? I bought one of every color! As it turned out, these were their quick-dry polishes from the Spring 2011 collection. 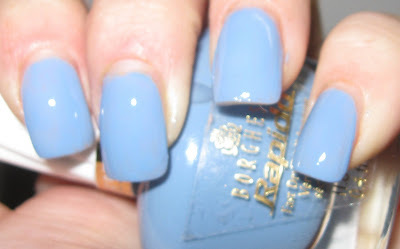 First up is Capriccio Blue which looks a lot like Revlon Blue Lagoon without the sparkle. I only wish it had a little better application. 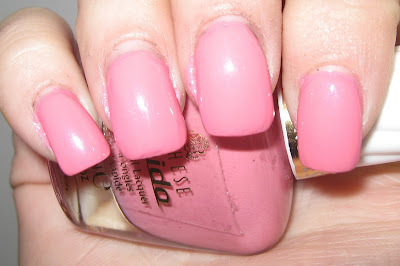 Next is Romanzo Pink, a bubblegum pink. This is the shade that pops into my mind when I think of Barbie pink. Again, same streak issue. Cantanto Purple was a lovely dark lilac color that I adore. I apologize for the blurry nature of the picture, I did not realize my Macro wasn't on during this shot. But it's a beautiful color and was probably the least streaky of the collection. Felice Tangerine was a great shade in the bottle and would have been awesome if it wasn't so streaky. Yet again. Unfortunately, while this shade would have been one of a few oranges to actually work with my skin tone, it looked terribly clumpy on my nails. Fantastico Lime was, by far, the worst application of the collection. And it really was a shame for such a promising color. Last is Castello Blue, a deep sky blue. 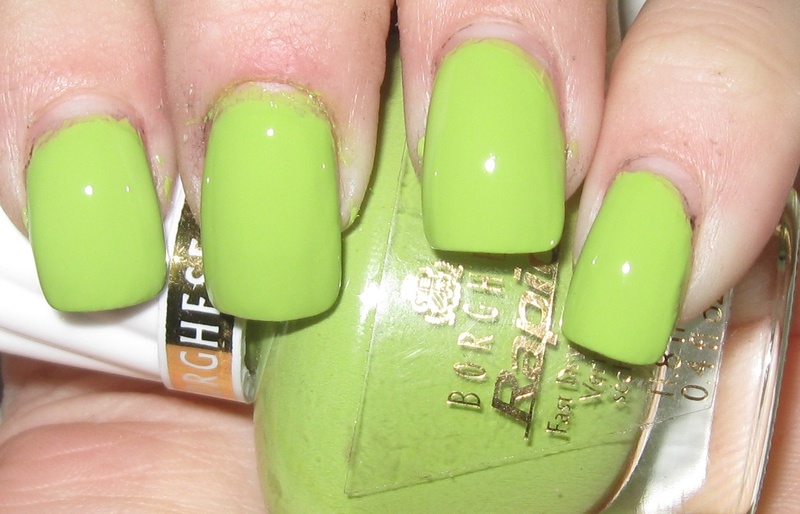 I LOVED this color, but the application is pretty streaky. I think that this is mainly because of the quick-dry formula, as it was a common theme throughout this collection. Overall, I was disappointed in the application of the color. If you pick up any colors, I would go with Cantanto Purple hands down. It is the easiest to work with and I think the color I would wear more than once.